I've worked with Reviva Labs Skincare before and enjoyed their products so much that I contacted them again for this holiday season. Reviva Labs is a company with 38 years of experience in skincare dealing with skin issues ranging from acne to aging. 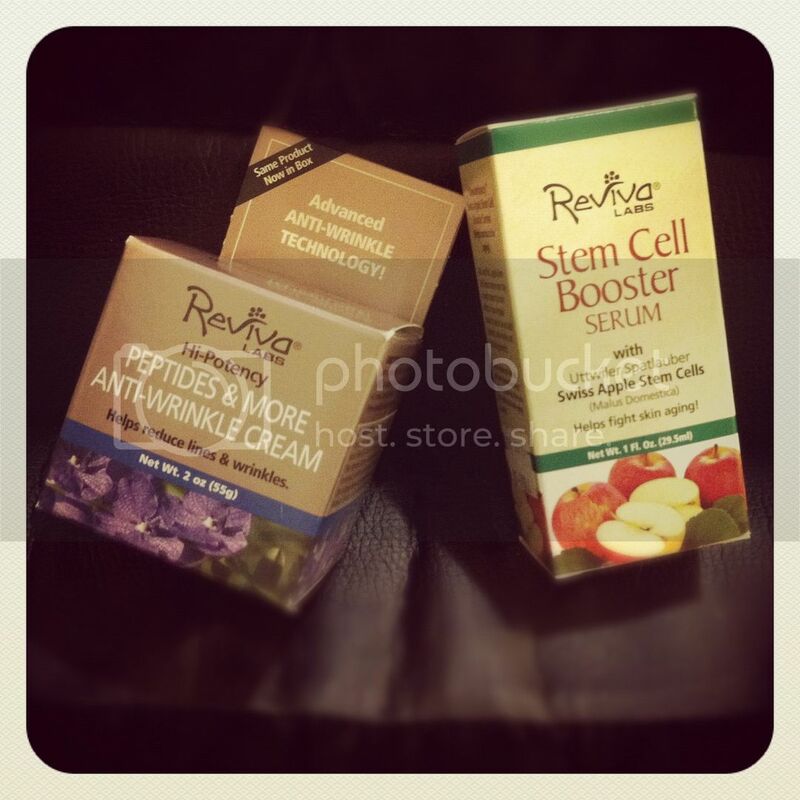 Now, some people may afford to be able to go to professional aestheticians but if you're like me, Reviva Labs is my personal at home skin salon at reasonable prices.This time I was sent the Peptides & More Anti-Wrinkle Cream and Swiss Apple Stem Cell booster Serum to review. Let's talk about Reviva Lab's Hi-Potency Peptides & More Anti-Wrinkle Cream first. Its recommended for mature dry skin and is supposed to reduce lines and wrinkles. Here are some brief points about its benefits: Marine Oligo Peptides help deal with deeper lines, coconut endosperm helps to build more uniform new cells to create a smoother appearance, antioxidants vitamins and oils to improve absorption, and DMAE to boost skin firmness. Reviva Labs suggest nightly use. I love how they openly admit that although their product helps to reduce wrinkles, creams are not the only thing that help. The best thing is to have a good skin care program, which includes alternating and possibly "layering" products. One of the products they recommend to alternate this with is the Swiss Apple Stem Cell Booster Serum. The Swiss Apple Stem Cell Booster Serum is too cool. Have you heard? Vogue magazine reported Michele Obama using a Swiss Apple Stem Cell Serum costing over $300. Are your eyes bugging out yet? Apparently Helen Mirren and Gwyneth Paltrow are also reported to be using the same serum. Well, at 1/10 of the price, I bring you Reviva Lab's version and affordable for non-Hollywood stars. This revolutionary Swiss Apple stem Cell extract helps to fight signs of aging, wrinkles and the like besides being able to boost the effects of your current cream or serum if used underneath. It repairs damaged or aging stem cells, extends longevity of normal, healthy cells and helps your skin look younger! Use twice daily, waiting a minute before applying your day/night cream over top. I really enjoyed both products. The Anti-Wrinkle cream was very light in consistency and is scent-free. It smoothed on quite nicely and results are also visible surprisingly fast. I have these wrinkles on my neck...that have been there for ages and even after a week, I've noticed them smoothening up a bit. I know it seems expensive but for what they do and how much comparable products are, they're worth it and you won't have to pay for Botox. LOL, those will run you $200-$500 a month depending on the dermatologist and the effects last an average of 4 months. The Swiss Apple Stem Cell Serum does not smell like apples; its rather scent-less. I know, that was the raging question in my head too. :) The consistency is quite similar to the Anti-Wrinkle cream and appears to be working as well, though I'll need more time for the testing. However, it benefits mature skin the most being that their skin have been affected by normal aging, sun, and pollution damage for longer periods of time. These are the "it" products for your at-home skin salon for those with mature skin or even those wanting to prevent the progression of wrinkles. Win It: 1 Whirlwind of Surprises' reader will get the chance to win both products ($79 value) for themselves. 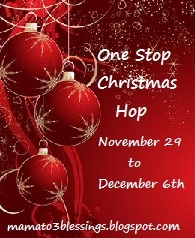 Come back to enter the giveaway as part of the One Stop Christmas Hop Nov 29-Dec 06 with $325+ in prizes! Make it easier on yourself by showing the sponsors some love now: Like Reviva Labs on facebook. Follow @RealRevivaLabs. I've been hearing a lot about apples and stem cells lately. This looks very promising! I love that you can use this underneath your current cream or serum to boost its effects. How exciting! The anti-wrinkle cream would be great for my mom because she is always looking for a good one that moisturizes her dry skin. It looks and sounds like a great product!